Ever since removing his dual player status in 2013, Lee Chin has become one of the finest hurlers not just in Wexford, but in the country. Last night’s performance against Kilkenny was single-handedly one of the best displays we have ever seen in the Purple and Gold. His leadership, strength on the ball, decision making, point scoring and free taking were simply mesmeric and admirable from all corners of the country. As a 24-year-old, Chin is currently joint captain of the Wexford Senior hurlers alongside the Model county’s centre back, Matthew O’Hanlon. The fact that he’s still only 24 and asserts such a strong influence on the field is a testament to his character. The improvements he has made to his game since joining up with the Senior hurling panel are more than noteworthy too. At the beginning of his hurling career with the Wexford Senior team, he often showed glimpses of leadership, glimpses of quality and the general perceptions were he was “a machine” that could indulge himself in any sport and still succeed. The glimpses of brilliance he provided on the hurling pitch though, were similar to those that he was showing on the Gaelic football pitch. He was good, but far from the finished product with most agreeing that at the time that he was a much better footballer than hurler. He was a respected player in both codes and he was a very valuable asset – but a far cry from what we have been witnessing in recent times. However, since opting to stick solely to Liam Dunne’s hurling panel in 2013, he has completely developed his hurling skills, decision making and every attribute needed to be considered with the best of hurlers in the country. His physical nature, his ability to jump to the stars and his leadership are all similar attributes to what makes Real Madrid’s Cristiano Ronaldo one of the best football players in the world. Yesterday, Chin was not only a step ahead of everybody on the pitch physically, he was superior mentally and skillfully too. He was cool, powerful and always made the right choice. He was faultless and often, he was encouraging his brothers in arms when they received killer goals and more than once stood up to respond to the Cats with pure and utter brilliance. 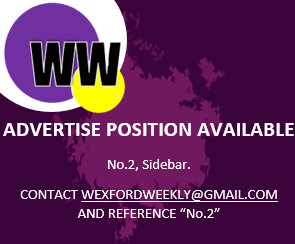 Now, the Wexford Senior hurlers are reaping the rewards of Chin’s choice to solely commit to the one sport. If one was ever to argue the case that the days of the dual player are over, then they should use Lee Chin as a prime example and highlight his astronomical improvements. Roll on the Leinster final on July 2nd in Croker. If you would like to submit an article, please click on the link provided.